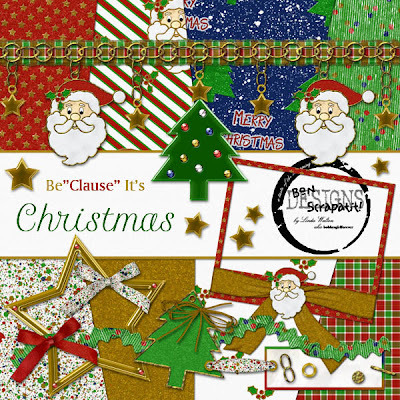 Bon Scrapatit Designs: MY NEW $2.00 SCRAP-A-DEAL KIT AND A SPECIAL FREEBIE JUST BE"CLAUSE"!!! MY NEW $2.00 SCRAP-A-DEAL KIT AND A SPECIAL FREEBIE JUST BE"CLAUSE"!!! Hi y'all!!! Hope you've had a GREAT day and are either enjoying SWEET dreams or another GLORIOUS day! I am slowly catching up due to my near loss of an EHD and have just uploaded my NEW "Scrap-A-Deal" scrapkit, *Be"Clause" It's Christmas* (well, almost anyhoo!) to my 3S store, which is on SALE until Midnight EST, Wednesday, November 14th. You will find a link posted directly below my preview image. I ended up having to REDO several files and, of course, they would be the ones that took a good chunk of time! ROFL! All of the background papers are my own creations and I hope that you will like them as much as I did creating them! This is ONLY part one of this FUN and FESTIVE scrapkit! If you purchase the kit, post a layout in the Scrap-A-Deal gallery by Midnight EST, Thursday, November 15th, you will receive a FREE add-on kit!!! I will post all of the pertinent information here on my blog tomorrow night with a link to my post in the FORUM so that you can easily locate the guidelines for this next week's Scrap-A-Deal!!! I hope that you will join me at my chat at 10:00 pm EST on Wednesday, November 14th, in the 3S chatroom for some GREAT fellowship and a SPECIAL coordinating FREEBIE to *Be"Clause" It's Christmas*! I will also try to get a preview of the FREE add-on kit posted here tomorrow night as well. Meanwhile, I hope that y'all have been GOOD digi-scrappers and since I KNOW that you have, I have a little something SPECIAL for you tonight just be"clause"!!! LOL! Thank you SO much for your enduring patience through my downtime and for ALL of the supportive and encouraging comments. Y'all help to keep me going come RAIN or shine!!! 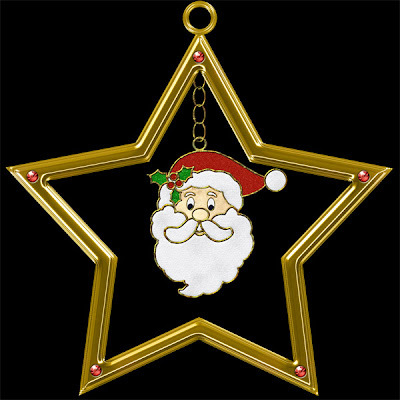 *Be"Clause" It's Christmas* may be purchased HERE for ONLY $2.00 now through Midnight EST, Wednesday, November 14th. Get a head start on your Christmas cards, gifts, albums and altered art projects with this sleigh ... er ... uhm ... I mean ... scrapkit full of goodies!!! YOU'VE BEEN TAGGED!!! LOL! WITH MORE FREEBIES! IS THERE A FINE (PRICE TO PAY) FOR GLITTERING??? HAPPY FANTABULOUS FREEBIE FRIDAY Y'ALL!!! WOWSERS!!! FLABBERGASTED IN COPPER - OPOLIS!!! GOT SANTA??? BE'CLAUSE TONIGHT IS THE NIGHT!!! HAPPY "FANTABULOUS FREEBIE FRIDAY" Y'ALL!! !